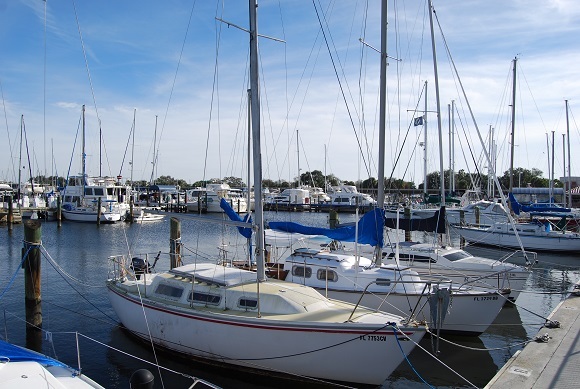 Downtown St. Petersburg is a geographical wonderland with the Bay to its east and the Gulf of Mexico to its west! 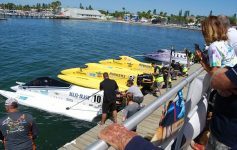 St Pete, as its known regionally is a city that offers a variety waterfront entertainment, inner city hot spots, and plenty of cultural attractions. St Petersburg attracts approximately 15 million visitors a year which makes its the most visited Gulf Coast city in the U.S. The downtown area is home to an abundant of worldly cuisines, crafted brew pubs, and plenty of shopping opportunities. St Pete was established as a full fledged city in February 1892 with a population of approximately 300 residents. The city today is just under 264,000 strong. Its co-founder, Peter Demens won the honors of naming the city with a bet and a toss of a coin. Believe it or not, Demens named this American city after St Petersburg, Russia. The rest is history. 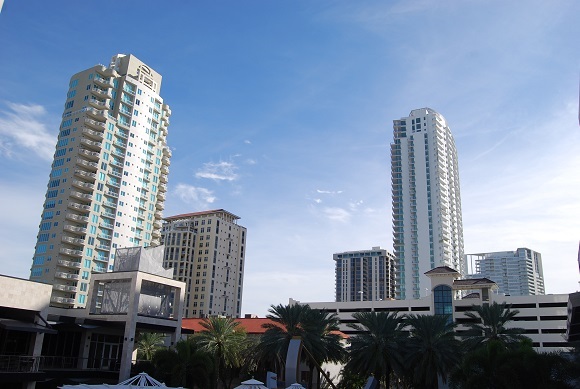 Downtown has several modern high-rises that offer panoramic views of Tampa Bay and St Petersburg’s harbor and Pier. 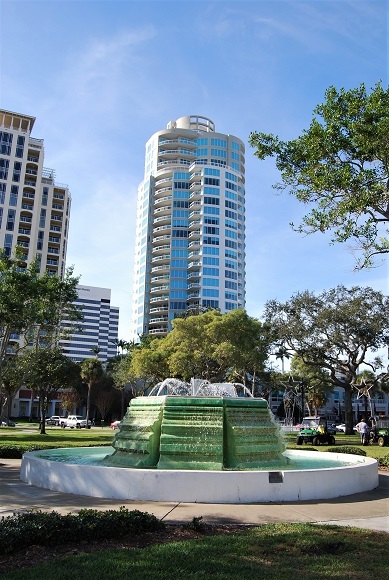 Other attractions include The Dali Museum, the Historic District, and the Sun Dial Plaza to just mention a few. The attached video at the end of this adventure takes you on a personal tour of this fabulous city. From the skies above to the streets below, don’t miss these incredible views. Stay tuned! 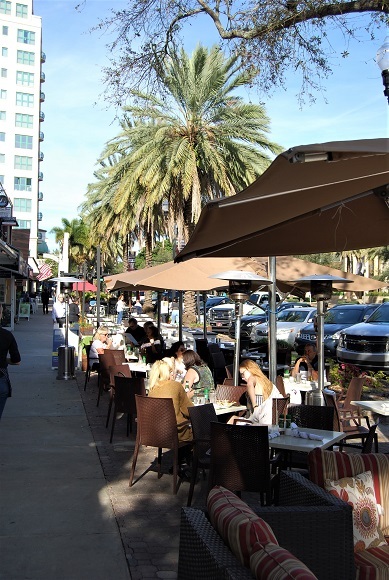 St Petersburg’s inner city has a diverse ambiance that blends modern-contemporary with old style Florida. The city has several parks that host weekly events such as farmers markets and bazaars. The city’s inner crossroads are lined with pubs, taverns and a mix of restaurants. St Petersburg has exceptional climate. 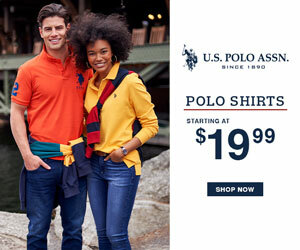 Its residents experience an average of 248 days of sunshine a year. Chances are you’ll have plenty of gorgeous days during your stay. 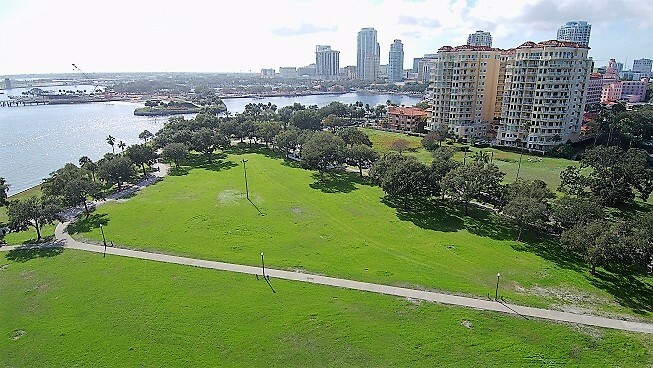 When spending the day exploring St Pete’s downtown area, you can start by enjoying the continuous green belts that follow along Tampa Bay. Having the privilege of being surrounded by water, the St Petersburg Municipal Marina is filled with sailing vessels of all sorts. This sea going parking lot is filled with sailboats, cabin cruisers, day boats and yes, there are plenty of yachts as well. 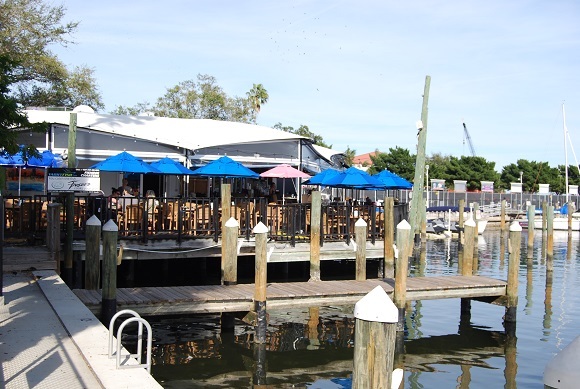 There are several waterside eateries that offer magnificent views of Tampa Bay and the passing boats. After enjoying an afternoon brunch, take a stroll along the pedestrian friendly walkway that follows along the bay’s shore. The well-maintained paths provide lots of park benches that are shaded by rows of trees. 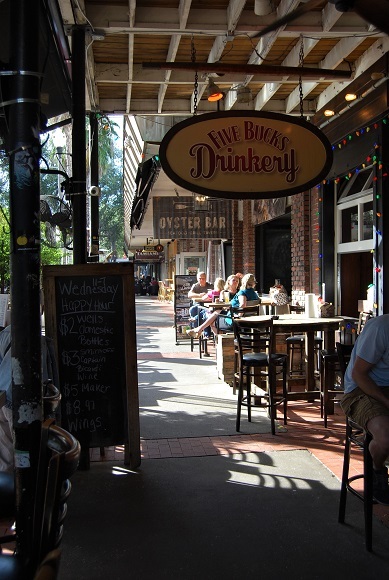 Just a 5 minute hop, skip and a jump away from the bay is downtown St Petersburg. It’s ultra-modern skyline is unmistakable with its towering residential pillars that pierce the blue skies above. 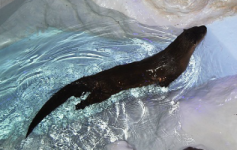 This popular destination has an array of attractions that will appeal to tourist and residents alike. No matter if you want to shop, sample the local cuisines, enjoy your favorite beverage or experience all the iconic sites, its all within blocks of each other. Smack dab in the heart of the city is the Mall at Sundial. This outdoor – inner city oasis has several fine dine restaurants, a variety of name brand retail stores, and a AMC theater featuring 20 individual screens showing the latest releases. 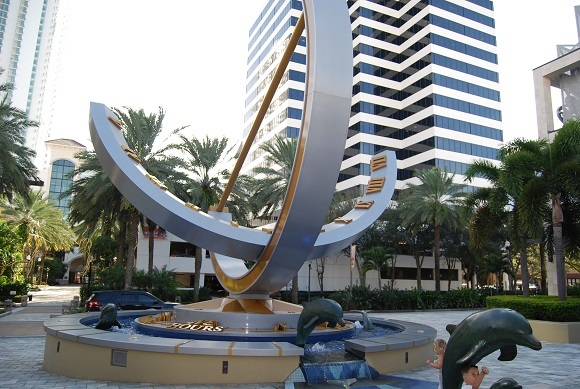 The Sundial’s plaza enlightens its visitors with bronze dolphins, a creative water feature, and well groomed gardens. 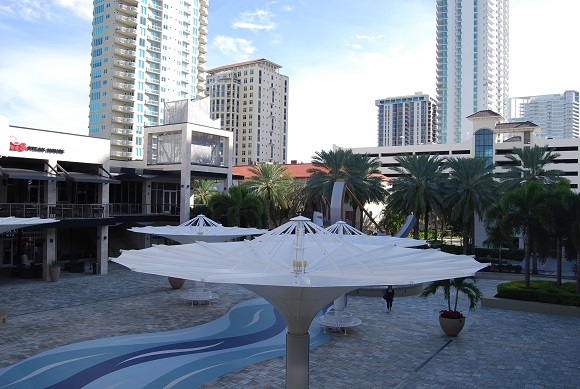 Its a great place to relax and sit under one of the artfully designed umbrellas while doing a little people watching. Enjoying the open air environment and subtle ambiance is time well spent. There are plenty of street meters and affordable parking garages. 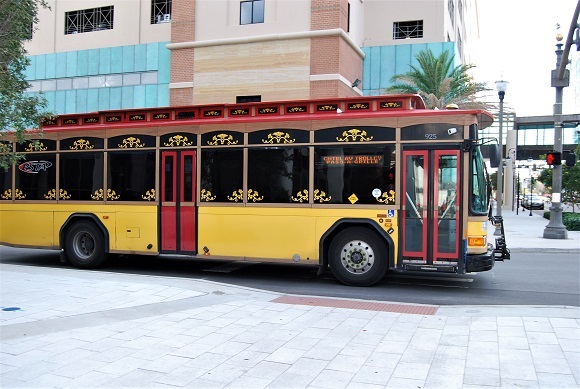 Once you park, you can use the trolley styled buses to get around. If you feel up to it, you can also walk to all of the attractions St Petersburg has to offer. 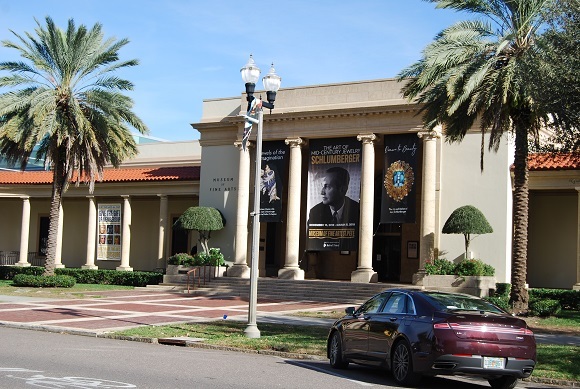 The Dali Museum, Museum of Fine Arts (shown left) and The James Museum of Western and Wildlife Art are just a few of the sites to see in and around St Petersburg. All of these attractions are a great way to spend quality family time. There are a variety of unique eateries and pubs in the heart of the city’s Historic District. Each one has a story. Most if not all of them are within walking distances of each other. 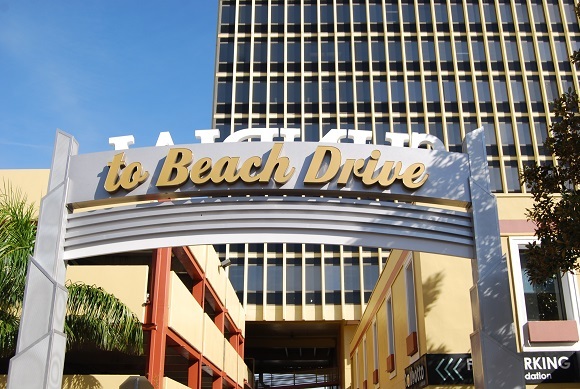 If you venture a few blocks east towards the back bay, you will come upon Beach Drive. Here is where the dining experience is a bit different than many of the downtown establishments. A maitre d’ will introduce you to a well-dressed wait staff member who will in turn, provide you with menus that will rival any 5 star fine-dine restaurant. You can dine under a street side canopy that offers tables dressed in white linens and padded wicker chairs, or in a posh dining room with shelves filled with all kinds of wine. 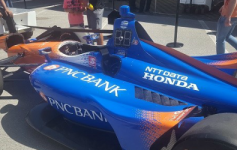 There is even curbside valet parking for your personal convenience. Step out of your vehicle and right to your table! St Petersburg is an amazing city that has a hometown feel with big city adventures. 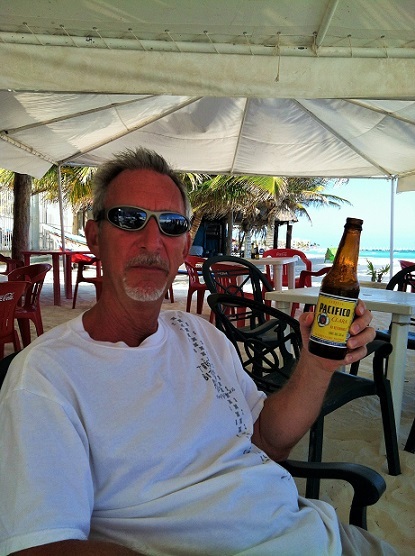 It offers a diverse atmosphere that caters to either family oriented, casual and other defined crowds. We here at “You, Me and The Dock” have only scratched the surface of things to do in this exciting destination. When thinking about a mini-vacation or long weekend get-away, St Petersburg has something for everyone. The following video gives a brief glimpse of St Petersburg and not only at street level, but also at an altitude of 300 or more feet. Take a few minutes to watch this creative and very entertaining video. Imagine spending time in this iconic – metropolitan jungle with its towering skyscrapers, palm tree lined streets, community parks, and numerous attractions. You won’t regret the time spent! Powered by Kemper Kreative, LLC © Copyright 2018. You, Me and the Dock.